Soooooooo, let me paint you a word picture (accompanied by an actual picture.) 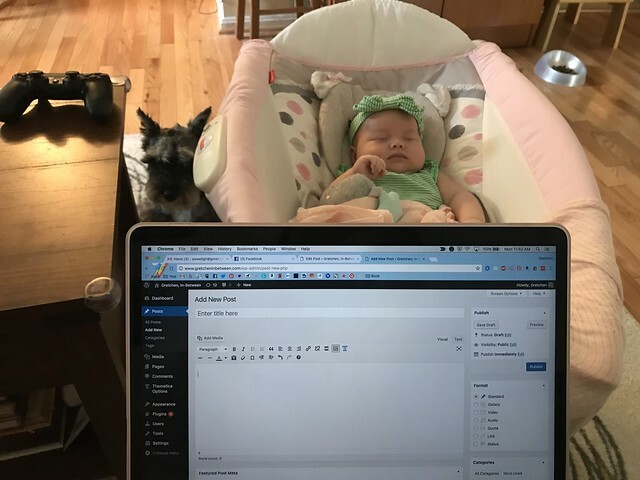 Here I was, sitting on the sofa, browser open, Penny napping peacefully in her Rock ‘n’ Play, the dogs snoozing away nearby, and with absolutely no idea what to write. It’s not that I don’t have things to write about. I mean, I had a baby six and a half weeks ago. I’ve had a lot of learnings and really do have a lot to say, haha. But it’s like there’s so much I want to say, I can’t figure out how to say any of it! Tough though it may be to believe now, there used to be a time when I posted daily to this here blog — sometimes even twice a day! Shocking, I know. And back then, I had no problems coming up with something to write about every day, but it seems that the longer I go between posting, the harder it is for me to get back into it. Conundrum. So being the internet-dependent person that I am, I turned to you guys to help me figure out and narrow down what I should write about with regard to what life has been like over the past several weeks. And boooooy, did you! 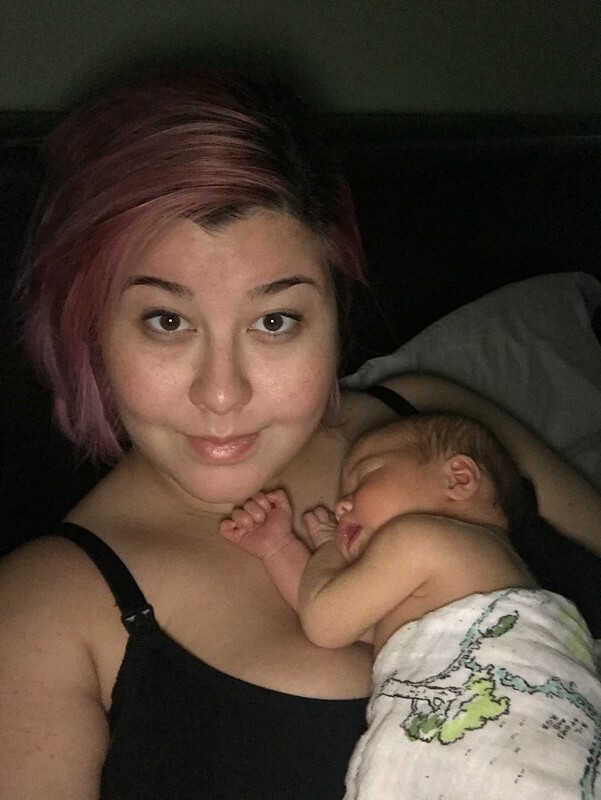 Thanks to you all, I now have a whole list of topics to to dig into, specifically for those who might be interested in the nittier, grittier side of newborn momming. Since some of your questions are pretty big and deserve posts of their own, I figured I’d start off by tackling some of the easier-to-answer questions I’ve received. How are Harry & Daxter adjusting to life with their new baby sister? Thankfully, bringing Penny home has been a total non-issue for the dogs! Harry has been completely nonplussed by her presence since we took her home, and Daxter continues to warm up to her more and more. 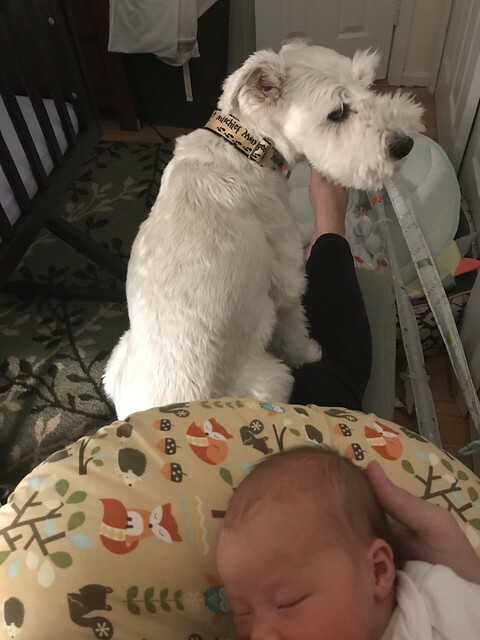 I was a little bit worried about how Daxter in particular would take to her, as he had exhibited some jealous behavior towards my nieces when they were babies, but thankfully those issues have yet to surface with Penny. Yay! I made sure a bunch of the baby stuff was all set up and placed the house long before I actually went into labor, so they could get used to all the new furniture and “stuff” that would be encroaching on their space. The dogs stayed with my parents while I was in the hospital (where they stay frequently), and I sent my parents home with the hat that Penny wore in the hospital to let the dogs get familiar with her smell. When the dogs came home, I went outside and greeted them by myself without the baby since it had been several days since I had seen them. Lastly, upon the advice of my friend Lara, who is a dog trainer, I made sure not to make a big deal of trying to get the dogs to “meet” Penny. I didn’t force them to go up to her, or hold her up to them to sniff, or anything like that. Penny was sleeping on the couch in her Boppy lounger when they came in, and it actually took them a little bit of time to even notice her. All those things combined led to a very uneventful introduction, and things continue to go quite smoothly! Daxter still doesn’t love it when she starts crying and fussing (he’ll just get up and sulkily leave the room, lol), but he loves curling up in her Boppy lounger when she’s not using it, and both he and Harry (as well as my brother’s dog, Pixel) all seem to be generally unaffected by her presence. And Penny can sleep through their barking and yapping too, so win-win! That said, breastfeeding in and of itself is not without its mental and emotional challenges, even if the physical aspect has been pretty smooth for me. After all, just because it has been going well so far, doesn’t mean it’s guaranteed to continue being that way, so the possibility of my milk supply dwindling in the future is sometimes on my mind. Also, I’ve been super grateful that Sean’s able to give her the occasional bottle of my pumped milk, as it can be emotionally draining to be her only food source, but we were also constantly second-guessing whether or not we were giving her too little, or too much, when we bottle fed her. I ended up getting the Hatch Baby Grow scale and changing pad which, in addition to letting us keep track of her weight and growth (something that the data-freak and crazy first-time-mom in me L-O-V-E-S), it has also allowed us to see roughly how much she has been taking from me as well by weighing her pre- and post-feeding. Doing so has really helped alleviate a lot of my worries with her feeding, and I can definitely say that she’s getting enough to eat because she’s packing on the pounds like a little champion: 11 pounds 12 ounces as of yesterday! What was it like leaving the house by yourself with Penny for the first time? Thankfully, it was very smooth, but probably only because I ramped up my outings with Penny VERY slowly. Sean and I had taken her out with us together several times (to the doctor, to lunch, etc), and when my sister was in town we took both Penny and my nephew Alex out together as well. 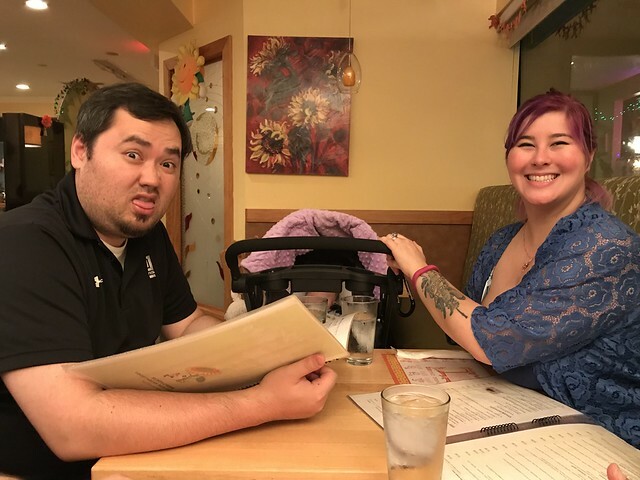 So by the time Sean was back at work and it was just me, I felt relatively confident in handling her carseat and stroller… but I still took it one baby step at a time. Pretty sure our first time out solo was just to the Chick-Fil-A drive-thru, lol. Then to Target. Then finally to meet a friend for lunch, and now getting out of the house is easy as pie… as long as I don’t need to be too punctual. Punctuality is definitely not my strong suit now. What was it like leaving Penny for the first time? The very first time I left Penny was just to run some quick errands while Sean was home on the weekend — this only happened a couple weeks ago. It’s actually kind of crazy to think that I wasn’t more than a room away from her for almost six entire weeks, heh. I did pretty well since it was a short trip and I was actively doing something the whole time — driving, running into the store, etc. The first time Sean and I both left Penny was last weekend when we went to see Blade Runner 2049 and my parents watched Penny for a few hours. I did less well that time — even though I know my parents had everything totally under control, it was still hard to be away from her, of course. She’s my tiny human, after all! I’m obsessed with her. I did okay during the movie itself (it was really good!) but I was ready to get up and race out of there the second it ended. Also, I burst into tears when Sean poked fun of me for checking my phone as soon as the credits started to roll, lol. How long are you on maternity leave, and when do you go back to work? I’m very fortunate to work for Yelp and receive twelve weeks of maternity leave, fully paid. If you’re outside of the US, that probably doesn’t sound like a whole lot, but believe me, it’s above and beyond what most people get in the States and I’m very grateful. 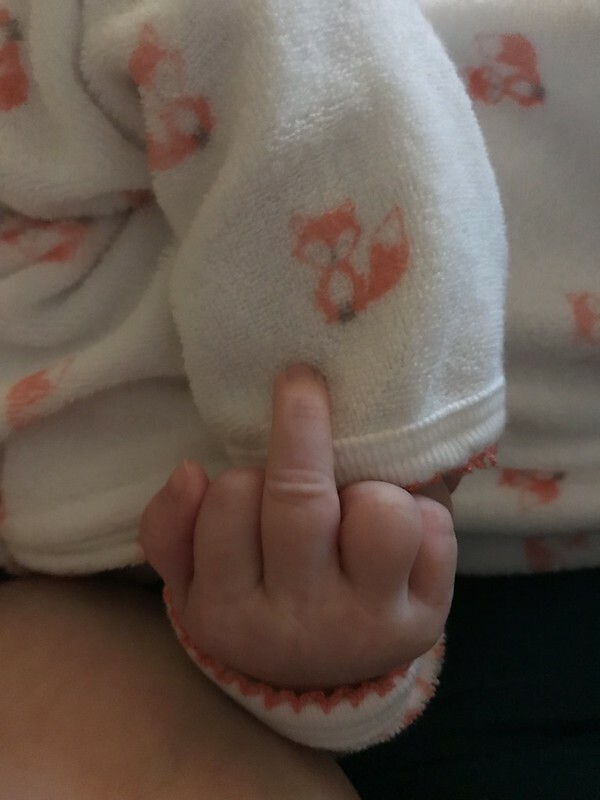 Since I was induced three weeks early, I used my PTO to add to my maternity leave as well to beef up my leave time and keep my original return-to-work date in mid-December. What are your childcare plans for when you go back? I’m also very fortunate to currently work from home (though Yelp is soon opening a DC office! Exciting!) and have an ever-changing but pretty flexible schedule, which gives me options for Penny’s childcare that I might not otherwise have with a traditional 9-5. We are also lucky ducks in that we have lots of family close by! So the plan is for my parents and Sean’s mom to watch her a couple days a week, and I’ll be enrolling Penny in a part-time daycare for the rest of the time. 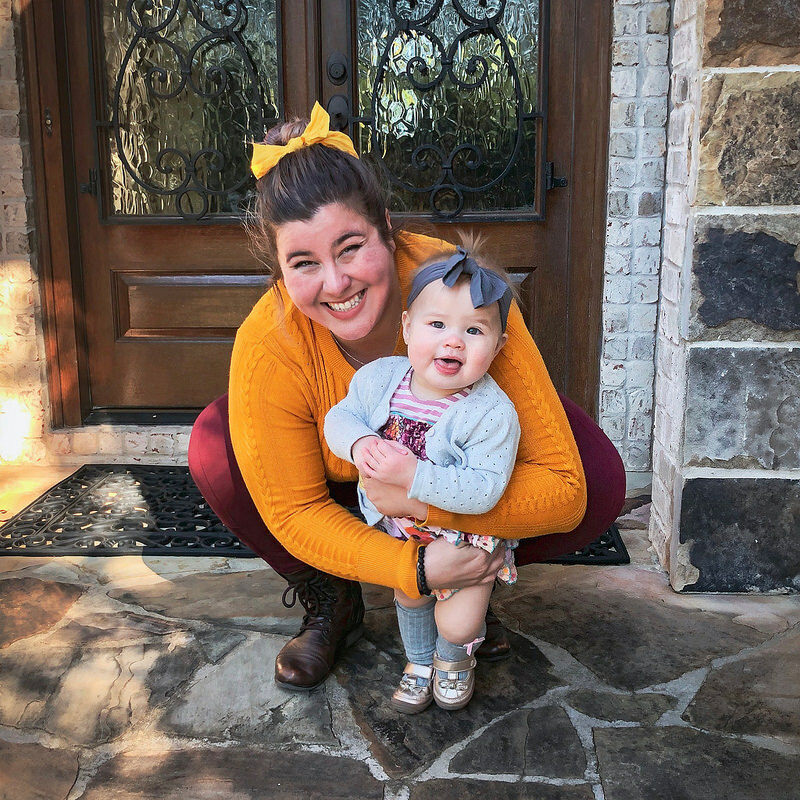 On nights when I have an Elite Event happening, she’ll either be home with Sean, babysat by family (in addition to our parents, we also have my brother and sister-in-law and Sean’s sister in the area), or with a sitter. I’ve saved this for last because it’s kind of a doozy to get into. The simplest answer is: I sleep in three hour chunks. Sometimes it’s slightly longer, sometimes a little shorter, but for the past week or so she has been pretty consistent. The (much) longer answer is that over the course of the past 7 weeks, that amount has ranged from one hour (which, yes, is just as horrible as it sounds) to 3.5 hours (which feels AMAZING to get that much sleep at once, ludicrous as it sounds), and we’ve only made it to a three hour average by finally throwing money at a sleep solution that seems to really be working for us — the DockATot. But, as you can see, I ultimately got over my reservations and made a conscious, informed choice to try the Dock-A-Tot, and I’m gonna be honest: I am soooooo glad that I did. A little backstory: when we first brought Penny home, I was adamant that we strictly follow the American Academy of Pediatrics’ recommendations for safe sleep (to reduce the chance of SIDs). That meant she was to sleep alone (no loose bedding, blankets, or toys), on her back, and on a flat, firm surface, so we had a bassinet set up in our room which fit all those criteria. What I didn’t really consider, however, was that it would be so difficult to get her to sleep in said bassinet! Go figure. So, suddenly I was either spending hours at night trying to get her to go down, and then back down, in her bassinet (often the only way to do so was by letting her fall asleep on her side or tummy whilst on my chest and then transferring her, sigh), or simply staying awake all night while she slept in her lounger or Rock ‘n’ Play. Obviously, neither of which were real solutions as they both required me to be awake all night and frankly, it started to feel dangerous as my exhaustion started compounding upon itself. I like to think I’m pretty tuned into all the trending mom stuff on Instagram (#dockatot, #freshlypicked, #littlenomad, lol), so I’d heard about the DockATot a while ago (plus I have friends who really love it), but was hesitant to jump in due to the price. So I initially tried out a cheaper alternative, the SnuggleNest, which I found on Amazon as an Open Box deal for only $30. 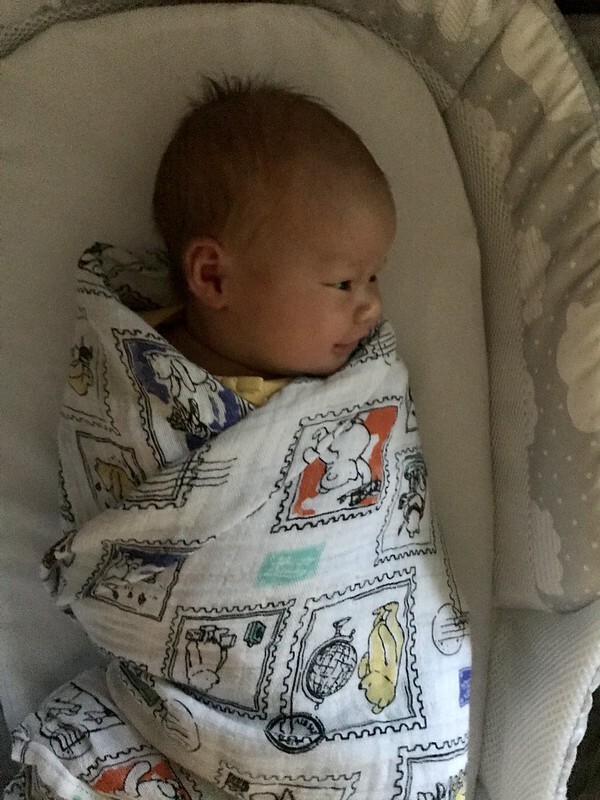 I already knew that a big part of what makes the DockATot so popular was the idea that it makes your little one feel snug and secure on all sides (their tagline is “reinventing the womb”) so I finally started researching it in earnest. And as I did, it began to appeal to me more and more — not only did I have friends who swore by its magical, sleep-inducing powers, but the more I looked into it, the more sense it seemed to make from a safety, security, and sleep perspective. Then, after one particularly sleepless night, I had a crazy mom moment and literally ran out of my house to go get one, lol. 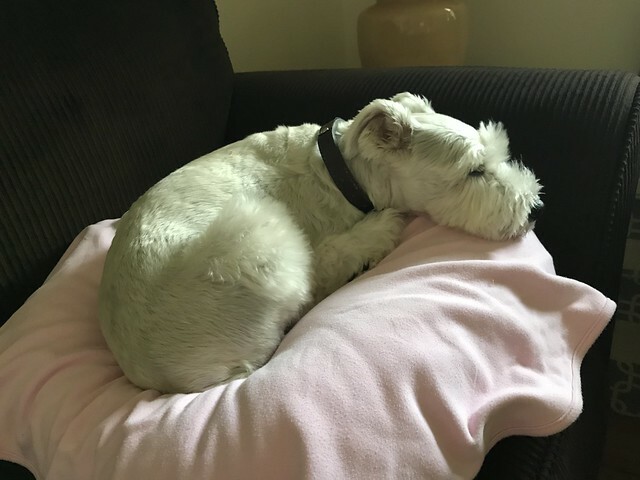 Since using it, I’ve found that it’s not just a soft, fluffy pillow, but is structured, quite firm and, in my experience, does live up to its claims of breathability. (I stuffed my face into the bumper for over a minute and could still breathe through it.) Plus, it keeps Penny so snug that she has yet to get her face anywhere close to the sides even when she turns her head. The most important thing, of course, is that it helps her — and thus, us — sleep. Penny goes down quite easily in it when it’s time for bed, and far more amazingly, returns to sleep so quickly after waking up to nurse in the middle of the night. 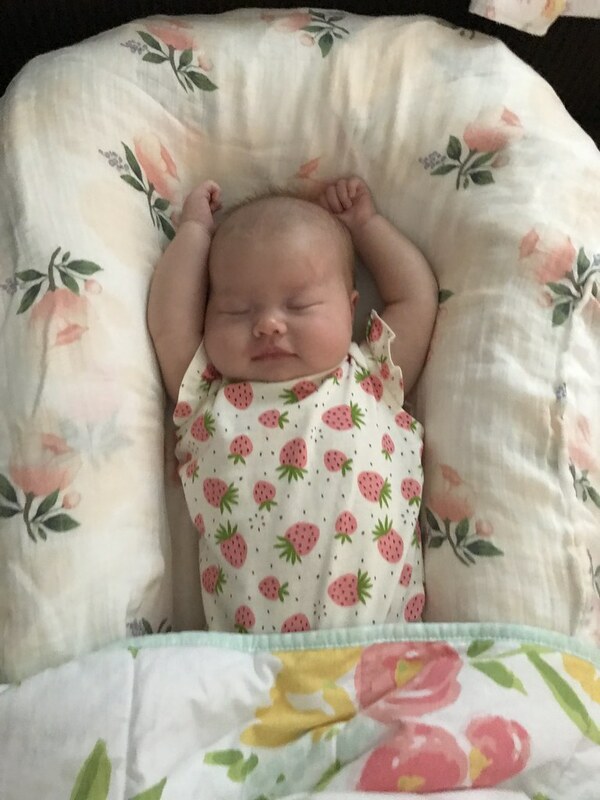 Plus, from the very first night in her DockATot, Penny started sleeping 3 to 3.5 hour stretches with consistency (barring any extenuating circumstances like her coming down with a little cold this weekend ::cry::). It’s not a magic bullet that has made her suddenly start sleeping through the whole night, of course, but honestly just getting consistent periods of 3+ hours of sleep makes such a huge difference, and obviously it’s my hope that those stretches will continue to get longer as Penny is able to go more time between feeds. I could probably keep talking about this forever and go into even more detail as to why we made this decision and why it’s working for us, but this has already been a super long post, so if you have specific questions or would like more details about our sleep sitch, feel free to leave a comment or reach out to me! I’ll take my leave for now, though, with the promise of coming back to address some of the other questions/topics you guys had for me — most of which deserve posts of their own. On the docket are posts about my postpartum body image, product recommendations, a day in our life, my new mom skincare and beauty routine, all of the emotions that motherhood has brought with it, and, as mentioned above, all the things I’ve had to take back about motherhood once I actually became a mother, lol. I live overseas, and the general product category is called a baby nest where I’m from. We have the sleepyhead version, and there was absolutely no way to get my daughter to sleep without it. She actually slept in it until she was like 9 months old, with half her body sticking out of it, lol. By the way, for a seven week old, sleeping in three hour increments is pretty dang great! 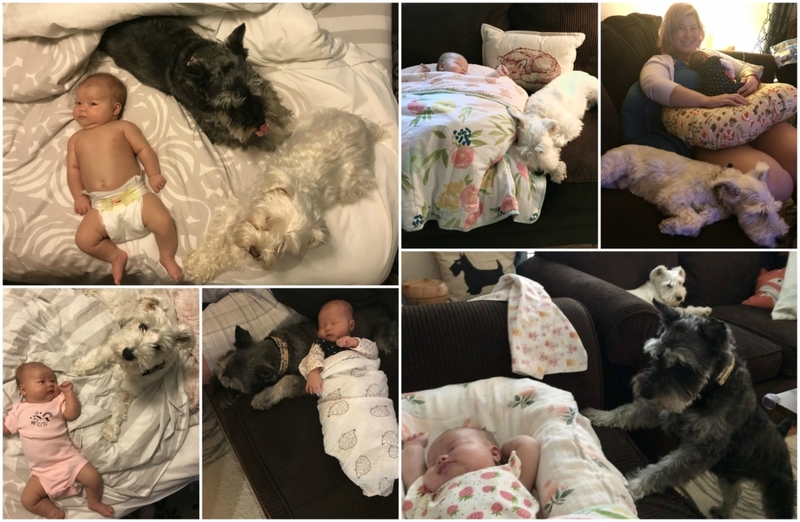 I don’t get the obsession of getting small babies to sleep through the night – well, I get that the mommas dream of it, of course, but it’s not the natural sleep pattern for the babies. Mine slept in 45 minute increments until she was around 6 months old (yawn). Definitely good for me to hear that and hopefully maintain a little perspective on sleep! I feel like you hear these stories about unicorn babies who are sleeping for 6-8 hours at like 6 weeks and it makes me wonder if I’m doing something wrong lol. Also interested how often you’re using a bottle so P continues to accept it. I’m torn because I want to freeze all my milk for my stash! Yes! I have one of these silicone pump things and I sometimes use it to “catch” milk on one side while Penny nurses on the other and it helps a lot with maintaining a little stash for us! Alas, I’m still dealing with some engorgemenet issues as well so I don’t have a great answer except that I sleep in a nursing bra or nursing tank top and use boobie pads every night to help with leakage lol. And I’d say Penny gets a bottle from Sean usually once a day (he’ll either feed her early in the AM before he goes to work, or before putting her down to bed) but sometimes the timing doesn’t work out for that so we go a day or two without a bottle as well and haven’t had any issues. I’ll talk bottles more when I do a product recommendation post but we’ve found Penny responds best to the Avent Natural bottles, but I like the Comotomo best (and she takes that one well too). You’re doing great, cousin! You’re a fantastic mom! I know the pain of a difficult sleeper and it sounds like you made a wise choice to get the Dock-A-Tot. Smart move! You both need to sleep! Love you! We used the dock a tot too but in her pack n play. Then transitioned to the crib with the dock. Then when she was too big I took the foam ring and put it under her crib sheet for a while then lost that too! Now she flops 180 degrees in her crib from end to end. She loves the space! So awesome to hear from someone who had success with it in the same way! Glad it helped with her crib transition too – that’s what I’m hoping for…! When did she move into her crib? 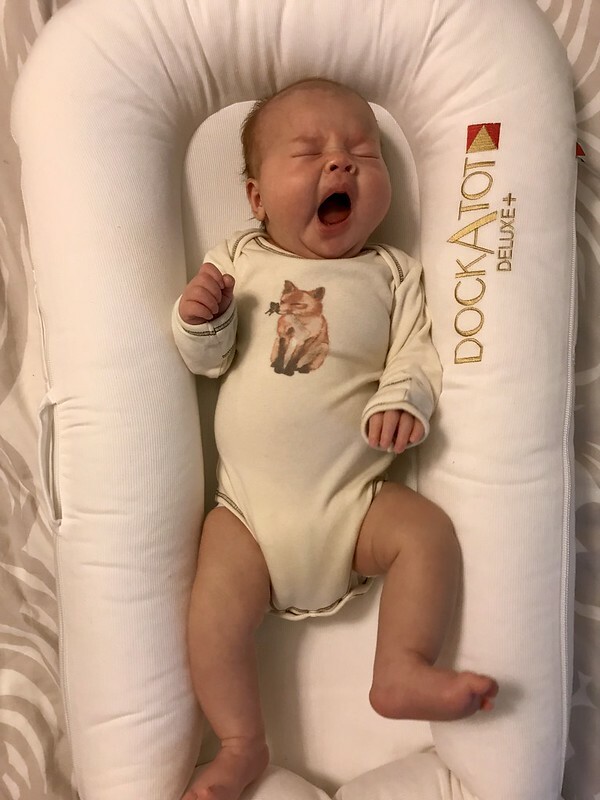 Thank you so much for explaining dockatot! 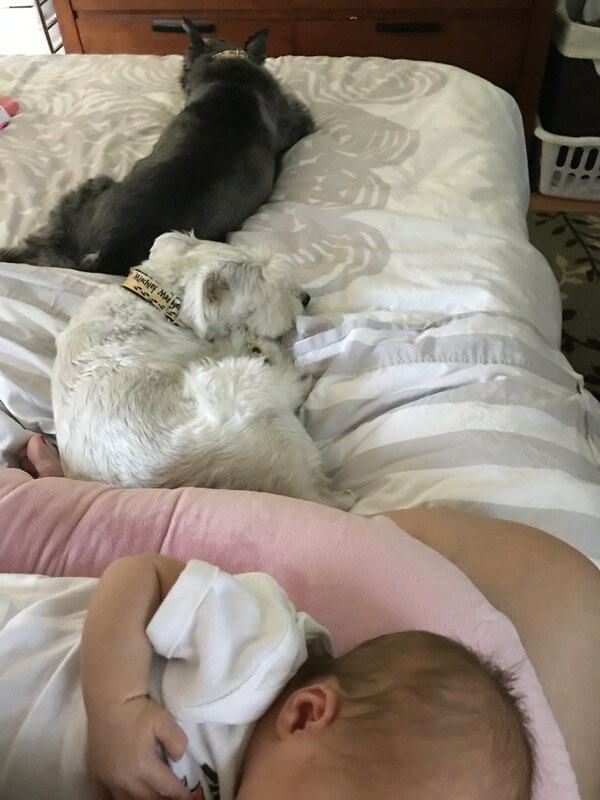 (I am nowhere near having kids, but I read a whole lot of mommy blogs) this sounds like a good product, and a good friend of mine who is a nurse and new momma has definitely stretched the rules on “safe sleep” eventually momma has to sleep! 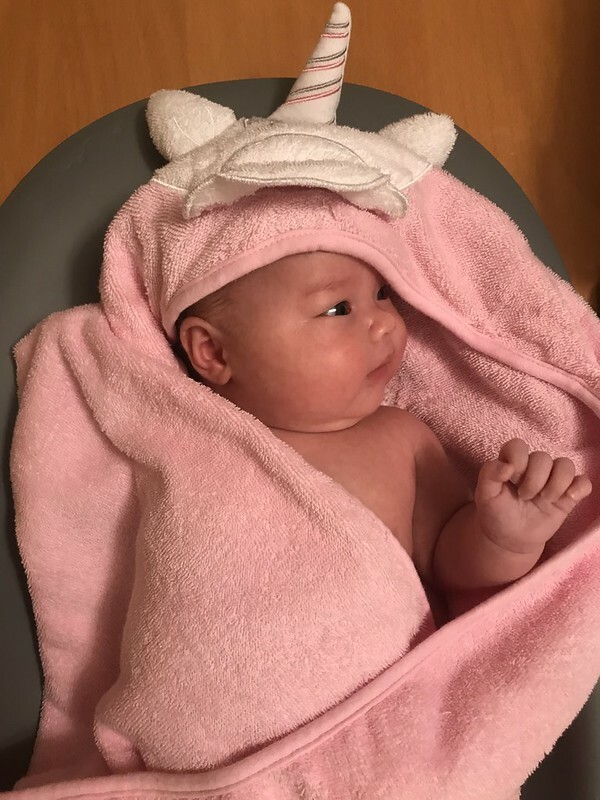 For future baby Q&A posts, could you add what has been generally super useful in the first couple of months? 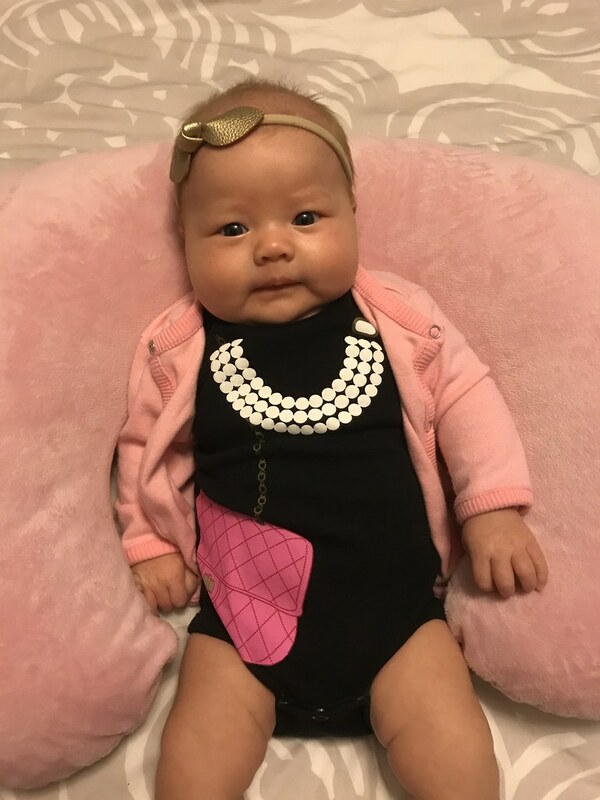 My sister is due with the first niece / grandbaby in the family and while I am obviously going overboard in the adorable clothes section, I’d love to know what I could pick up for her that would be actually useful.